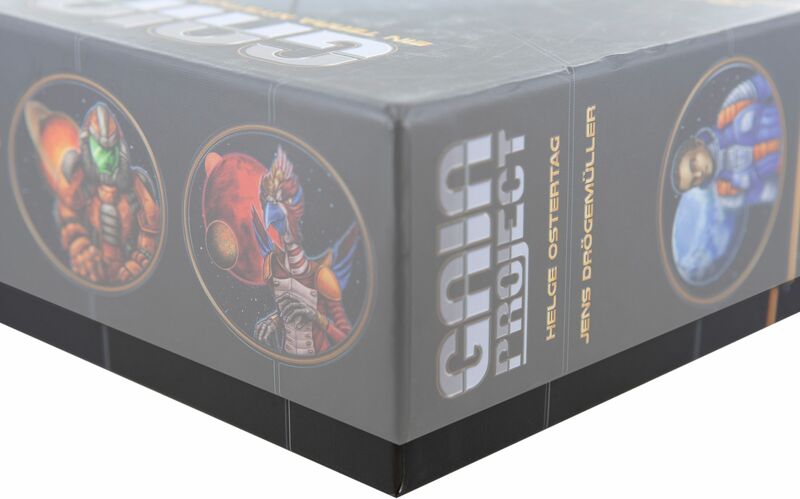 For clear organization and safe storage of your game material in the original game box. You want to lead Terrans, Ivits or another race to a higher state of development? In that case you should lead by example and prove how highly developed your skills to organize the "Gaia Project" game material are. Our Organizer fits exactly into the original board game box. It consists of a foam tray with 19 + 1 compartments and a custom cut, individually removable insert with 10 compartments. For the insert, there is a tailor-made extra-compartment in the tray. 7 compartments of the tray are reserved for the structures and markers of the respective colors. 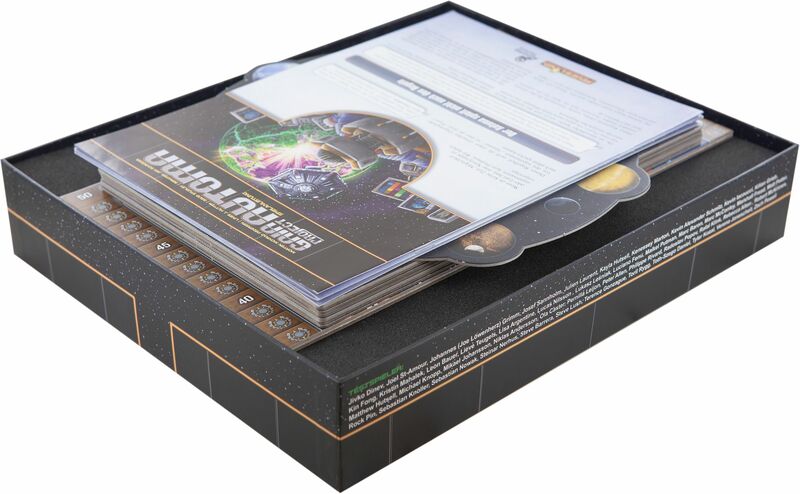 4 compartments provide space for (sleeved) cards and further markers like power tokens and knowledge markers. The other 8 compartments will hold additional game material like e. g. round scoring tiles. 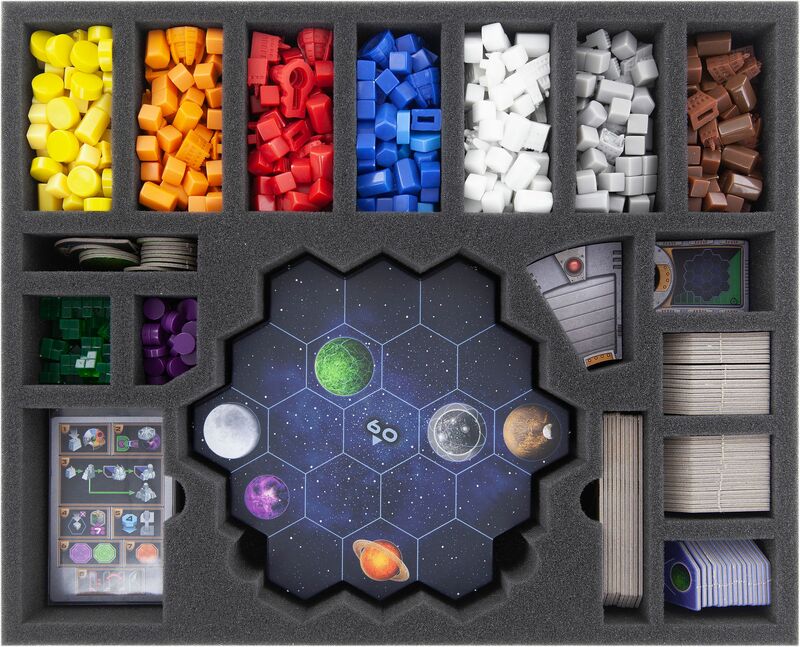 The extra-compartment for the removable insert has the same base area as the space sector tiles and features 10 compartments. 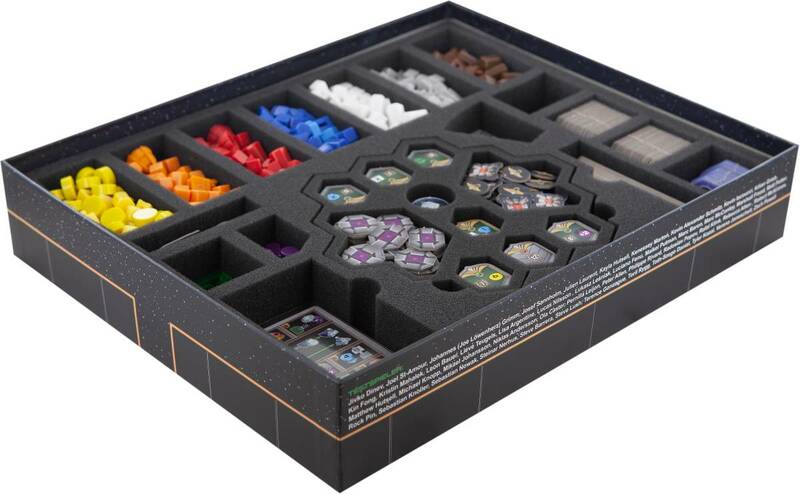 The 10 compartments provide space for federation tokens, action tokens and record tokens. 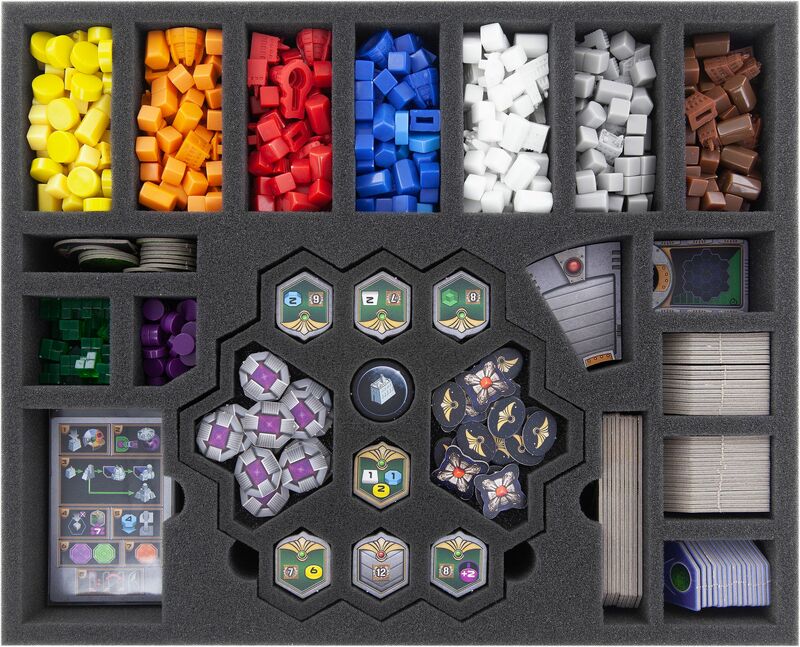 When you're done sorting everything into the Organizer, you place the space sector tiles on top of the insert. The sector tiles will then be level with the foam tray. For additional protection of the game material, we provide a matching foam topper which makes sure that nothing can fall out. Finally, you place the larger game components like research board, scoring board and faction boards on top, close the lid and you're all set. The Organizer extends ca. 2 cm over the edge of the original board game box.